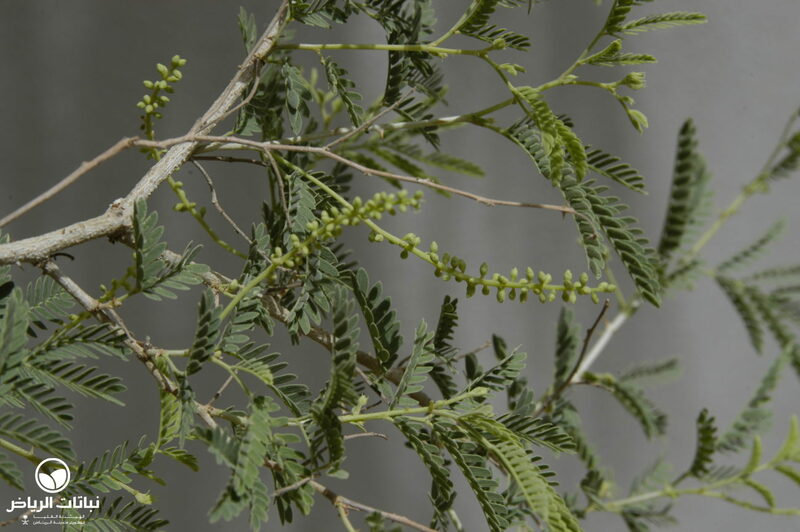 This low, perennial shrub, sometimes referred to as Syrian Mesquite and known locally as yanbut, has a wide range of habitats all over the Middle East through to India on sandy plains, disturbed ground, fallow fields, borders of springs, and along farm fences and canal banks. 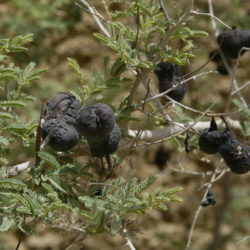 Seen throughout the Arriyadh region, it forms straggly, prostate bushes, primarily on wasteland. 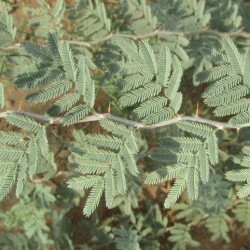 The spiny, older stems become grey, almost white in colour. 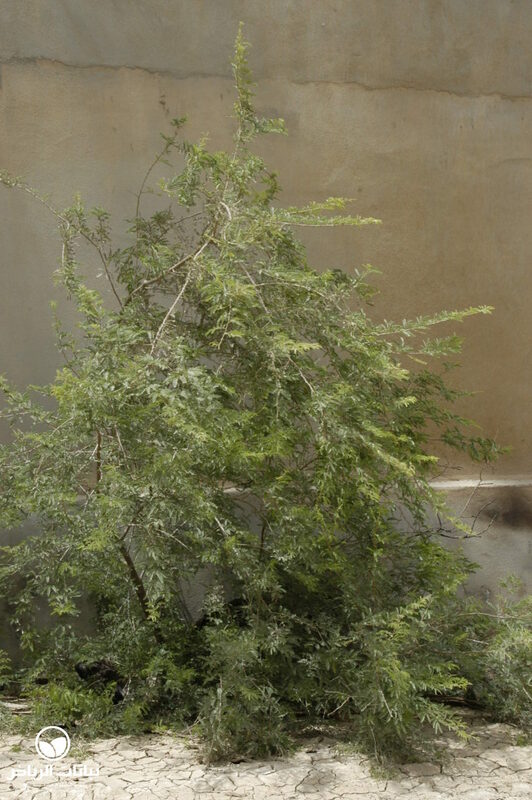 Multi-branched up to 2 metres high, it has alternate, compound, bipinnate leaves and small, white glabrous flowers in spikes up to 10 cm long from April to August. 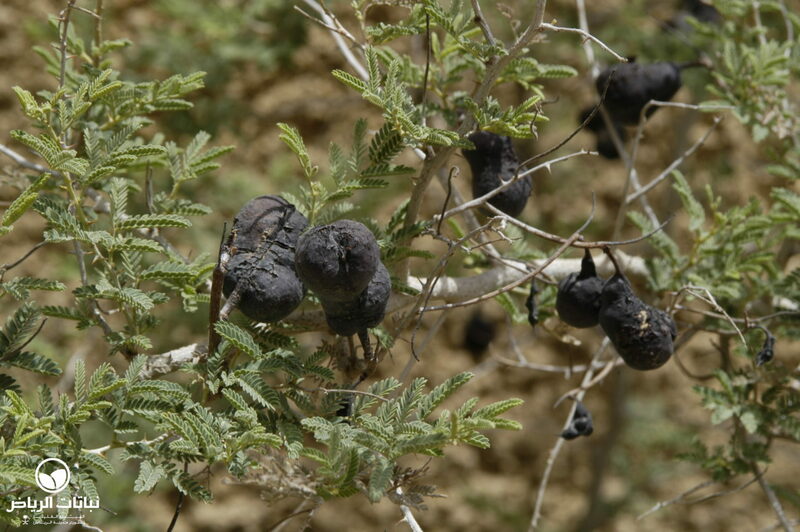 The striking legumes are oval, kidney-shaped, dark-chestnut-like pods, swollen to 5 cm in length. Sometimes a striking orange, they become almost black, like a lump of charcoal, when ripe. 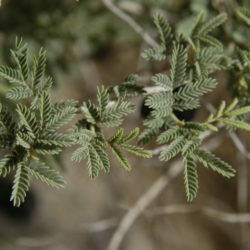 P. farcta will grow in salty and non-salty habitats on poor and good soils, and is very drought-tolerant. Propagation is by seed and cuttings. 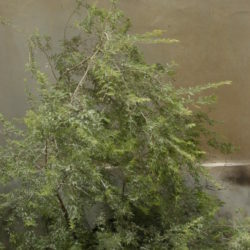 Normally, plants will be browsed only by goats. 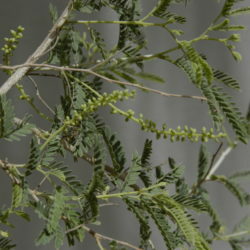 Although the Syrian Mesquite has been classified as a noxious weed in some countries – it is even widespread in Arizona – it has some merit as a native plant in sand stabilisation schemes and afforestation in the first row. 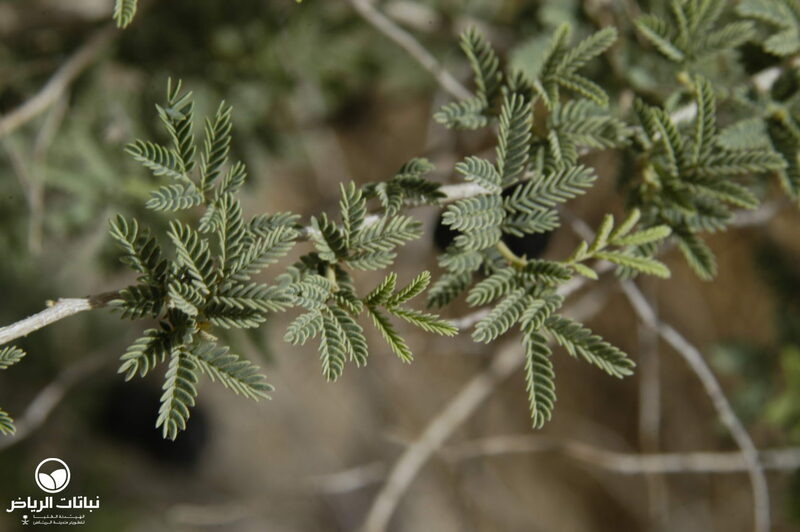 In extensive landscape designs, no maintenance at all will be necessary.